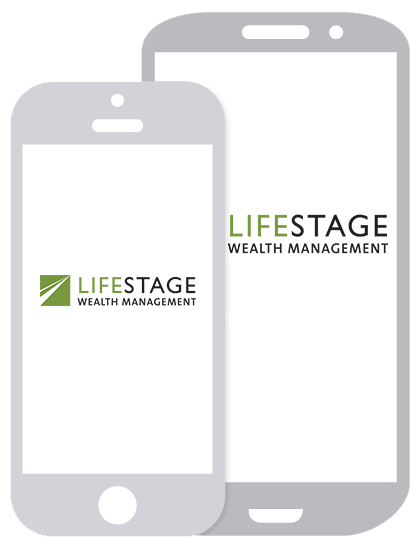 At LifeStage Wealth Management, we feel it is very important for us to understand your personal or small business financial situation before we can help you address your financial needs and objectives. Through a process of gathering and analyzing your current situation and listening to you about what you want to accomplish in life, we help you build a road map to get there. When it comes to portfolio management, we have a very specific method we use called our Technical Allocation Program (TAP). Even though, through our custodian Charles Schwab, we can use virtually an infinite number of investment vehicles, our TAP program tracks and follows approximately 30 different investments at a given time. Each month TAP provides us with an assessment that shows us which investments are trending with greater strength as well as those that are losing strength and starting to fall out of favor. Technical analysis can help identify trends of a particular asset class or position to capitalize on an upturn or to avoid a downturn. Our TAP program utilizes a core group of assets for each client which is designed for safety based on his or her goals and objectives. In conjunction with the core assets are a series of investment satellites based on current strengths and trends. We manage five different portfolios based on risk ranging from our conservative strategy to our growth strategy. We help you select which model makes the most sense for you!